When I decided to start Lindsey in the Queen City, I had a vision of uplifting people I love and featuring some of the awesome people that I am lucky enough to call friends. Starting the Girl Boss series is something really special to me. I want to highlight my seriously talented friends that work in all different industries. I knew when I started the series that my first feature would be Emily Breault of Bleu Lion media. I have known Emily for almost my entire life. We have grown up as best friends and still remain close to this day. We even wore the same outfit to picture day in elementary school….twice. Emily graduated from the University of Georgia. 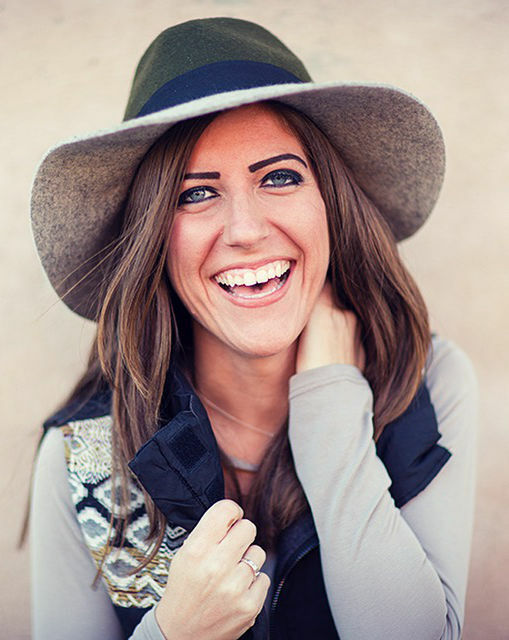 She has worked so hard to start her business and it has really taken off! She rebranded in 2017 to launch Bleu Lion Media and I am so proud of all her accomplishments. When Dustin proposed he had Emily hiding in the bushes to capture it all and when we discussed wedding vendors before our wedding, we knew we had to have Emily shoot our wedding video. She got extra credit for that because she was also a bridesmaid. You can see her awesome work here. I asked Emily a few questions so y’all can get to know her a little better. How did you get started with Bleu Lion Media? Growing up, my dad always had his video camera out, filming anything and everything. So part of the reason I probably got interested in production was because of him. I was always around cameras. But I think when I first got really interested in film was when I was in my sophomore year theater class. We had to film a 30 minute sitcom. No one knew how to edit, so I volunteered to figure it out. I fell in love with it. 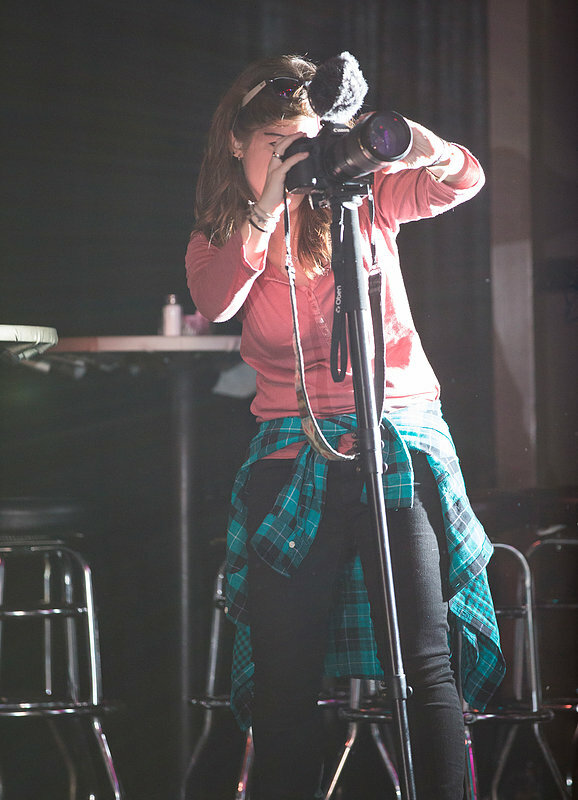 Once I got to UGA, I became more interested in actual production and learning more about the camera. I majored in video production and took multiple independent studies focused on script writing. I also did numerous internships with various production companies and television networks, which really helped launch my career. I started working professionally while still in school shooting for a TLC reality show, “Say Yes to the Dress”. After working freelance for a few months, I started my first production company soon after I graduated. I have been creating videos since I was in the 10th grade. It was also in high school when I was given the nick name of “eBreezy” which was just a play on my first initial and last name, “E Breault”. Just out of college I was looking for a company name and eBreezy Media seemed like a good idea. However, it was time to move on from high school nick names. From a marketing standpoint, it was hard to characterize “eBreezy” yet Bleu Lion works great with logo designs and branding. The name change was also designed to appeal to a wide variety of clients. Blue is the color of the sky, which means the sky is the limit for where I want to go professionally. I spell it “Bleu” because I’m French. The lion represents courage. So putting Bleu Lion together means I hope to take on bigger and more challenging clients allowing me to expand my business, collaborate with more people, and advance my skills with each new opportunity. What is your favorite thing about working in production/film? My favorite thing about working in production is probably getting the opportunity to work with different people in different industries. I’ve learned about so many different things and traveled to places I never thought I’d go because I have such a wide variety of clients. Since launching my new company in January, I’ve been able to travel all over the country and even internationally in the Bahamas. A few weeks ago, I was filming for an international company based out of Belgium in the middle of Arkansas. Next week, I have a shoot with the Harlem Globetrotters. You never who you’ll get the chance to work with or who you’ll meet, which is exciting. What’s the best shoot you’ve been a part of? One of the best shoots I’ve been a part of was this one project with UPtv for a branding campaign featuring Uplifting Entertainers. We filmed people who wash high rise windows and dress up as superheroes to cheer up all of the kids at a children’s hospital in Ohio. Seeing the kids’ reactions to the superheroes repel down the building was amazing. It was hands down one of my favorite projects. I love working on projects that are meaningful and make a difference in peoples’ lives. I don’t think I have a “worst” shoot. All of my shoots have been fun and interesting in their own way. And all shoots are learning experiences. But I’ve had shoots where I had to build an entire set with giant walls and reflective flooring that weigh a ton, all on a smaller budget. Small budget means, small crew. And you know how small I am, so carrying super heavy equipment and building these giant sets is very laborious and very tiring. I think after working all of these shoots, I’ve realized that I really need to hit the gym and do some curls for the girls. But I always make it work! Where do you see yourself/your business in 5 years? 10 years? I see my business growing obviously. I would love to be working with bigger clients, where I can hire bigger crews. Right now, depending on the size of the project, I do a lot of the work myself. So I’d love to have bigger projects where I can be more behind the scenes and manage everything and have the crew and people doing a lot of the work I’m doing now. I have a couple dream shoots. Anything for NatGeo would be awesome. I love animals, adventure, and traveling. It’s always been a dream of mine. Another dream project would be to film and produce a digital short music video for SNL with Tina Fey, Amy Poehler, Kristen Wiig, Kate McKinnon, and Julia Louis-Dreyfus, basically the whole female SNL cast, past or present. I’ve wanted to make digital short music videos since I first discovered my passion for production in 10th grade. And working with such talented and comedic women that I look up to would be the biggest mic drop moment ever. If you could choose another job outside of production, what would it be? Music is such a huge part of my life, so I’d probably want to do something involving music. I think if there was a market for 90s music DJs, I’d be all over that. But realistically, I’d probably be a music supervisor for movies or TV shows. It’s hard for me to picture myself doing anything out of production in any capacity. I’m a people person, so if I couldn’t do music, I’d probably do something in marketing or sales. ationships with them, which allows me to understand their business and their goals to create a quality product they will be proud to show. Explain the of the kinds of projects you are involved in with Bleu Lion Media. I work on all kinds of projects with a wide variety of business clients. 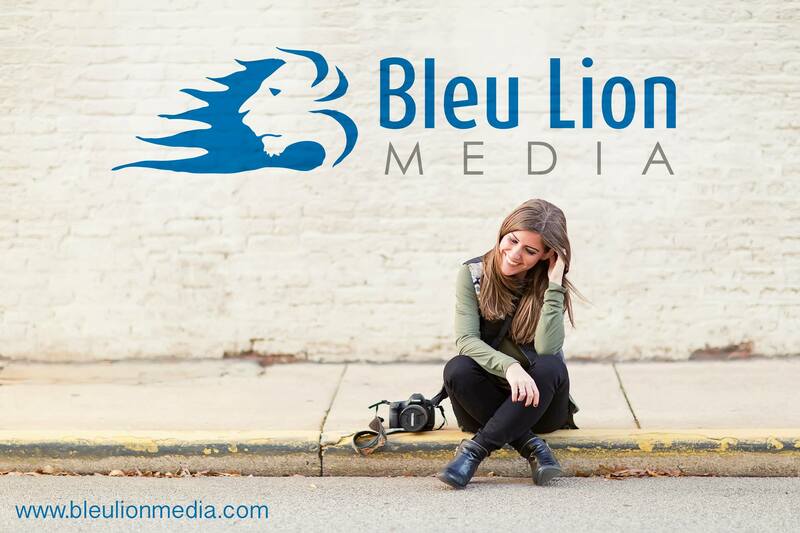 At Bleu Lion Media we do everything from corporate branding videos, marketing and sales videos, branding photography, television promos, documentaries, movie trailers, behind the scenes, set photography, and wedding videos and photography. If it involves video production, photography or post-production, we probably do it. Why do you feel your work is important, what are you bringing to your clients? What sets me apart is that as a small company, I can spend more time getting to know my clients and build relationships with them. This allows me to know exactly what they want, who they are, what their goals are and what message they are trying to convey. I work with the best team of people to make the best quality product for them. My clients come to me because they need something, whether it’s a branding video or a documentary or a movie trailer, and it’s important because at the end of the day it’s helping them. It’s helping their business grow. It’s helping tell their story. It’s helping them to get people excited about what they do and about their product. And when I hear from my clients after I turn in a project and they tell me that Bleu Lion Media “not only helped motivate employees, but their amazing videos also contributed to winning clients,” it’s the best feeling knowing you helped make a difference. Things I always have in purse… keys, sunglasses, wallet, phone, business cards, a pen, lipstick, and my little pink stun gun. All necessary objects obviously.